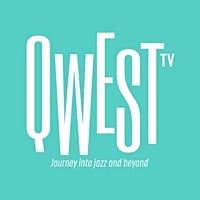 The Kickstarter campaign has to be a success and we need to give birth to Qwest TV. We're approaching our goal on Kickstarter. Now is the time to help get Qwest TV to the finish line! To give everyone unlimited access to the music that helped to shape our cultural foundations: Jazz! Support with us Quincy Jones’ dream, Qwest TV spiritual godfather. Let's build together a service dedicated to jazz and beyond that embraces music lovers new habits, of all respectful to artists creation. 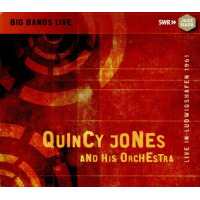 Quincy has offered his label's name- Qwest records- for this project, as a natural continuation of the label works. Let's honour his gift! Click HERE to become a co-founding- subscriber and access to exclusive perks. To help bring our baby home in the final week, Quincy's offering up signed LPs from his own personal collection as prizes for our backers. Find out which of his precious gems he's giving away. Each record and package deal will only be available for a 24-hour period, so you'll have to act quickly on these once-in-a- lifetime opportunities! Quincy himself is offering Gold Records (RIAA-certified replicas) and vinyl LPs from his personal collection that he will personally dedicate and sign, with all proceeds going to making Qwest TV a reality. Also: during our Kickstarter campaign many of your favorite artists are stepping up to support Quincy.